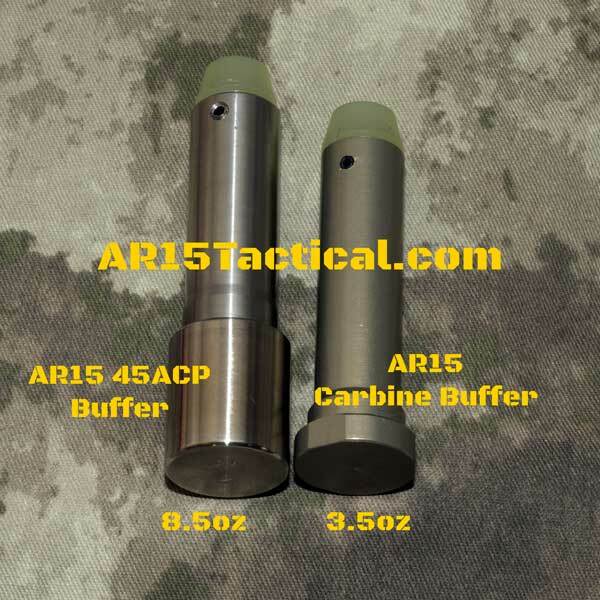 AR15 Carbine Buffer vs AR15 45acp Buffer – I like to be very visual in my explanations. One picture truly is worth a thousand words. In the picture above a standard AR15 Carbine Buffer is compared to a Heavy Buffers .45acp buffer. 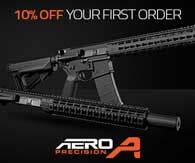 There is probably nobody that understands the AR15, AR10 and 308AR recoil system better than Slash at Heavy Buffers. The Heavy Buffers .45acp buffer at eight and a half ounces is a half ounce heavier than the eight ounce Hahn AR15 Pistol Caliber Carbine Buffer. Slash also recommends a Wolff Spring #16501 for maximum reliability. Visit Heavy Buffers for more information. Note: Slash dimensions are proprietary. That is why they are not listed.